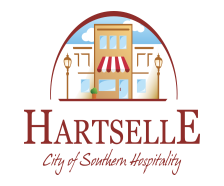 The Hartselle Police Department provides a variety of services and has several specialized units. Patrol units are available for extra patrol requests for businesses and residents experiencing problems or concerns. An extra patrol may also be requested for citizens leaving the city for vacation or business. For an extra patrol request, contact dispatch at 256-773-6534. A specific time frame, address, and known vehicles at the location should be supplied to the dispatcher. Extra patrol requests are for a maximum of two weeks. If further time is needed, an additional request must be made.